repress 2018 _ clear vinyl 10" _ looks like the original press & sounds really nice. I have 9/13, it does seems some people are lying about owning this one seeing as 22 people claim to have it! I have number 2/13, and very pleased I am with it. I wonder who has numbers 14,15 & 16/13? Beautiful looking record but the beats are even sweeter. Both the original and the Sotofett remix. My last comment is now pretty much irrelevant now that the tracklisting has been amended. Doesn't change the fact that the music on this release is just soooo good. Hats off to those at Unthank in getting this released. and also for the beautiful artwork on the sleeve and label. Great release, sorry if I'm being pedantic but why is Dharma Drama marked as B1 when it's on the side that has A2 marked in the run out groove? 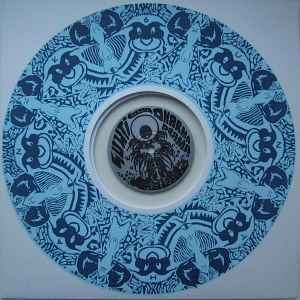 DJ Sotofett's Bhakti Crew Mix for me, 7 minutes of otherworldly deep house, inspiring stuff. this release is so absolutely stunning. ultra deep strings/pads which pulls you deep inside with its deepness.